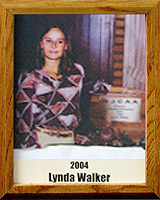 A graduate of Catalina High School (1976-1980), Lynda participated in track, tennis and basketball, but it was in volleyball and softball where she had the greatest success. She was all-city and all-state in volleyball and softball all four years of high school. She was named MVP at the state championship game in her senior year in volleyball. Lynda received a scholarship to attend Pima College in volleyball in 1980 and in 1982 she received a full scholarship to Scottsdale Community College. In 1982 they were national champions in volleyball and again she was named MVP at the nationals and to the all-conference team. She played professional sand volleyball from 1981-1992. As an amateur, she also played co-ed doubles volleyball and was undefeated in over 200 games. In the 1990s, Lynda had a kidney transplant and in 1992 she was invited to participate in the Transplant Olympics in Los Angeles. In 1993 she was once again invited to participate in the Transplant Olympics in Canada where 34 countries competed. However, due to hip and knee surgery she was only able to participate in golf where she again medaled, this time with a silver medal. She has coached junior high girls in softball and volleyball and has helped at numerous summer camps and clinics in volleyball. She also has helped the volleyball program at Rincon High School.organizations.